The MTP Train at the Denver, Colorado Station. All Aboard. This post provides some background on my participation in the Millennial Trains Project and details for the MTP info session which will be held in Pittsburgh on Monday, February 1, 2016 at TechShop. Scroll to the bottom for the info session details. This is one of my favorite topics to write (and talk about). 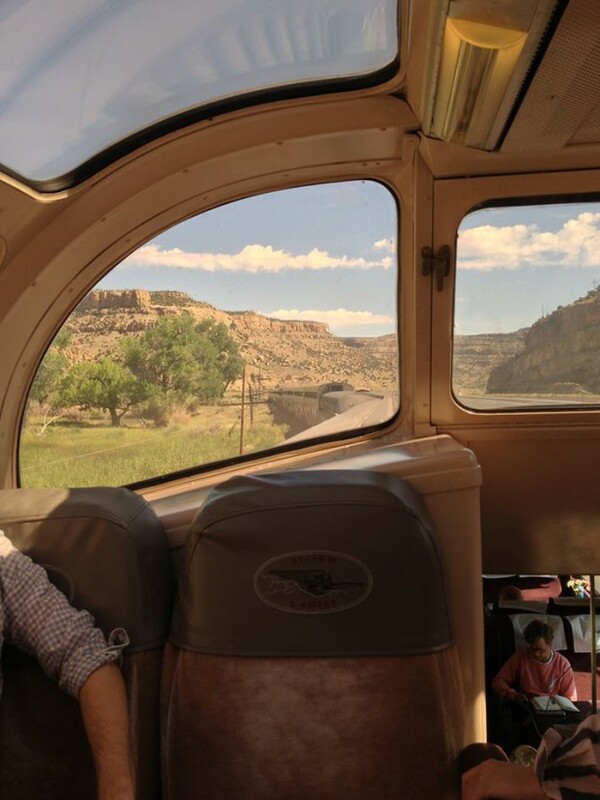 There is so much more to share about this experience than I can pack into one blog post, each person I met, place I visited and each train car deserves their own post. So I hope this is a start to many more conversations on this topic. Lets talk about trains, and ideas and Pittsburgh. One of the many valuable things that I have gained from the readers of this blog, was the opportunity to participate in the inaugural Millennial Trains Project in the summer of 2013. Not only was it an incredible personal experience to travel across the US on a vintage train, but it allowed me to bring many ideas back to Pittsburgh and share more of the Pittsburgh story with other leaders. And I am proud to report that we have had a Pittsburgher participate in the Millennial Trains Project each year. What is the Millennial Trains Project? 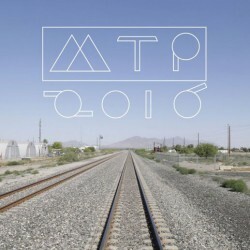 Hard to sum up in one sentenance, MTP is a cross-country train trip, where some impressive, creative young leaders spend a week travelling across the country, with an amazing group of mentors, learning about great things happening across the US. 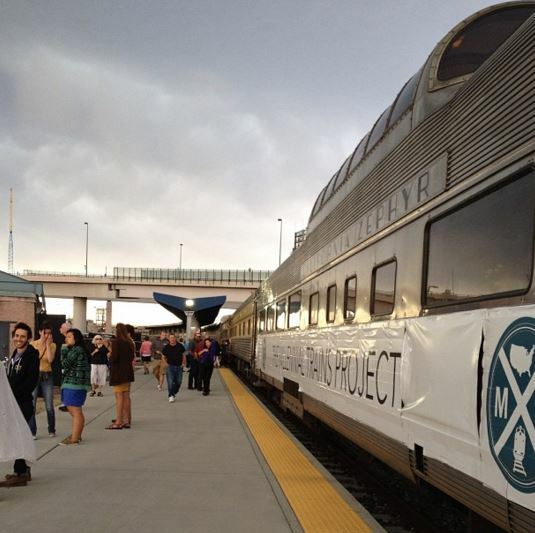 Each passenger crowdfunds a project that they work on and research as the train moves from city to city. Outside of Grand Junction, Colorado. One of my favorite photos from the trip. Years ago, I worked on political campaigns, and I had a Google alert set up for pretty much every elected official, including then city-councilman Patrick Dowd. Most of the time this Google Alert sent me links to a blog of some Canadian man named Patrick Dowd and I started deleting the emails before I read them. One night, I couldn’t sleep and was flipping through all of the emails in the not-so-important email file and I saw an article about another Patrick Dowd. Trains Patrick Dowd, had been a Fulbright Scholar in India and had participated in the Jagriti Yatra, a cross country train trip in India. Trains Patrick returned to the US and wanted to create a cross country train trip here. Even better, the first MTP journey was scheduled to stop in Pittsburgh. I had just a few weeks to crowdfund my project to join the trip. I blogged, I emailed and I Tweeted. Thanks to the generosity of Pittsburghers from across the US, I was able to participate in the first cross-country train trip. Not only did Pittsburgh make it possible for me to participate in this trip, but many people helped to make the Pittsburgh stop a great experience. The passengers visited both ThrillMill and TechShop. And a huge thank you to Scott Smith from East End Brewing, who with less than 24 hours notice agreed to host all of the train passengers at the brewery for a happy hour. Not only was a cross country train trip via vintage rail and incredible experience, but it was an important learning experience for me that we need to make sure we have more Pittsburghers at the table telling the stories of this city to other young and not so young leaders. I wrote an essay titled “Five Things I Brought Back From My Cross Country Train Trip” that I shared with those who donated to my crowdfunding campaign. Here are the highlights and you can read the entire essay here. I hope you will take the time to read the whole essay and I welcome your thoughts and feedback in the comments on the page. An exciting opportunity to show off our city to an incredible group of “passengers” from around the globe, in 2016 MTP will run two trips, one of which will start in Pittsburgh! I will be joining Matt Verlinich & Catherine Tsavalas who have also been passengers on the Millennial Trains Project at TechShop on Monday for an information session about the trip. Please come and learn more about how you can participate in the 2016 trip. I am committeed to helping other Pittsburghers who want to participate crowdfund for their trips. If you are not able to attend, but have questions, please feel free to send me an email lindsay – at -IheartPGH.com and I would be happy to help. Please RSVP here. Facebook Event page here. Applications are open now and close when enough people have reached their crowdfunding goal or April 15. One of the most iconic, well at least my favorite views of Pittsburgh, is coming into the city from the airport, the view of the city unfolding as you come through the tunnel. I have on more than one occasion, driven through the tunnel and been so captivated by the lights of everything, that I immediately change course and drive to Mt. Washington to take a photo. So, the day that the MTP train was scheduled to arrive in Pittsburgh, I set my alarm to wake up and see what the city looks like when you arrive by train. I know that I won’t often be coming into the city by rail and wanted to see what it looks like. Here is the video of what Pittsburgh looks like when you arrive by rail.